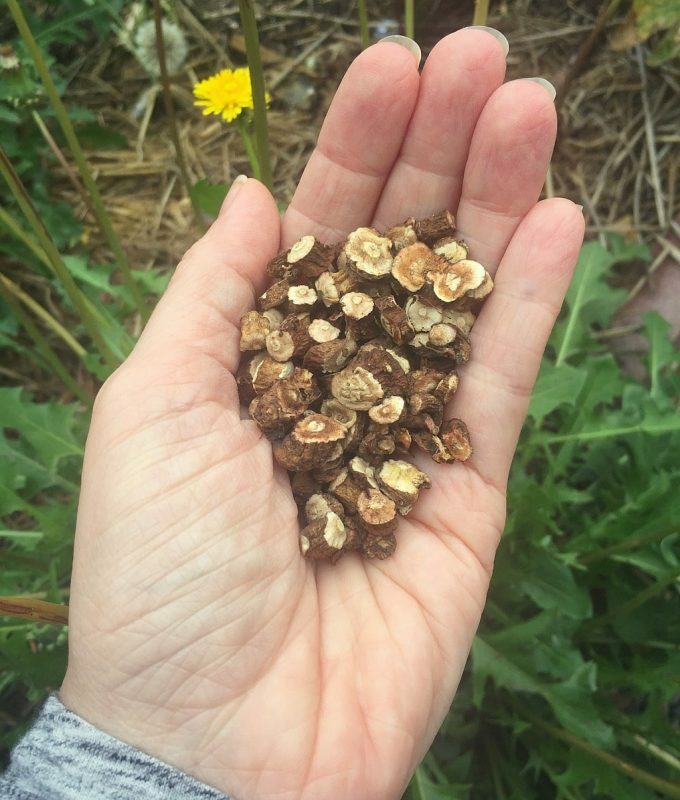 Did you know that fall is the best time of year for wildcrafting herbal medicinal roots? 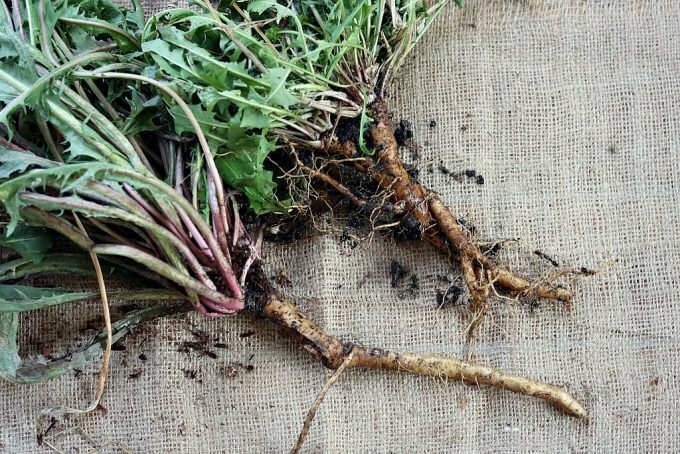 All spring and summer long plants such as burdock, valerian, chicory, comfrey, and dandelion are growing long taproots. Once fall comes and the plants start to die back after a frost, that taproot stores all of the plant’s nutrition and medicinal potency. 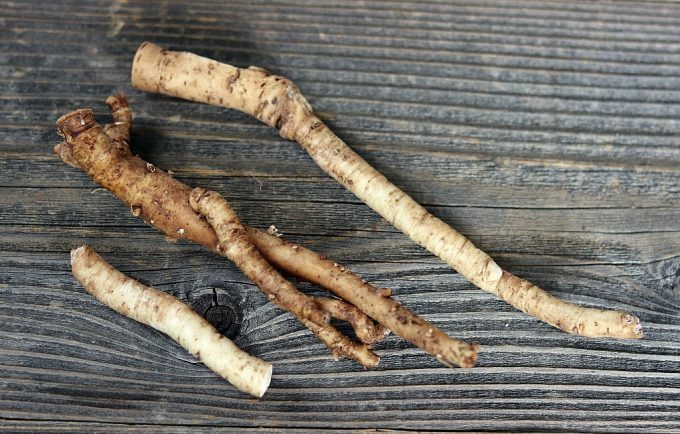 These roots have a variety of different uses, mostly medicinal, but also culinary. 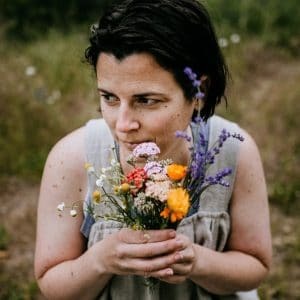 Today I am going to tell you all about how to go foraging for dandelion root, one of the easiest to find and most common of all the medicinal plants. We all know what dandelions are, right? 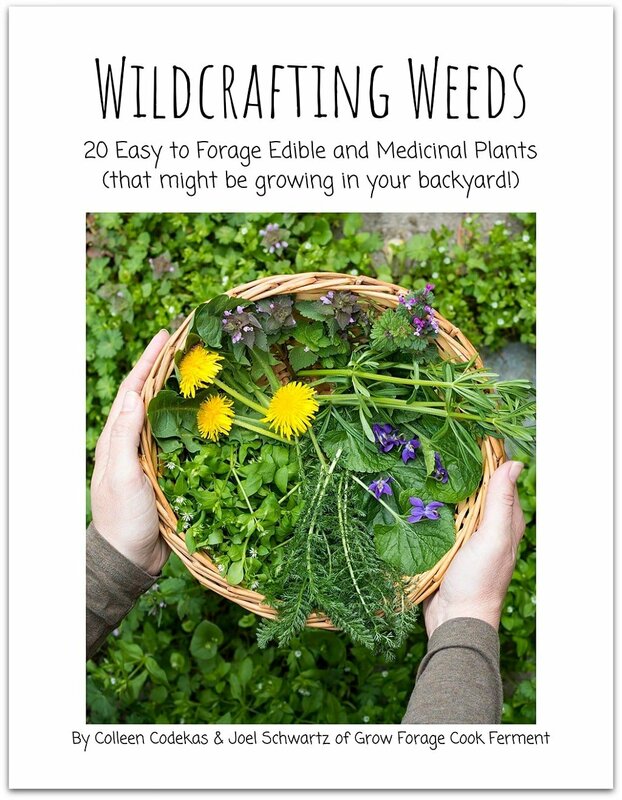 They are the best example of a super easy to forage, edible and medicinal plant. I’ve written a post all about foraging for dandelions, but I didn’t say too much about the roots. They deserve a whole post on their own! First, you have to actually get to the roots, which is no easy task. There were a few dandelions still hanging around on our property, so I went out to try and harvest them. In the fall there usually won’t be many flowers left, although ours were still blooming fairly recently. 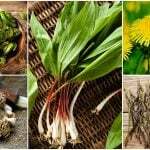 It all depends on your climate, but it is still pretty easy to recognize them from their rosette of leaves (make dandelion pesto with those leaves). 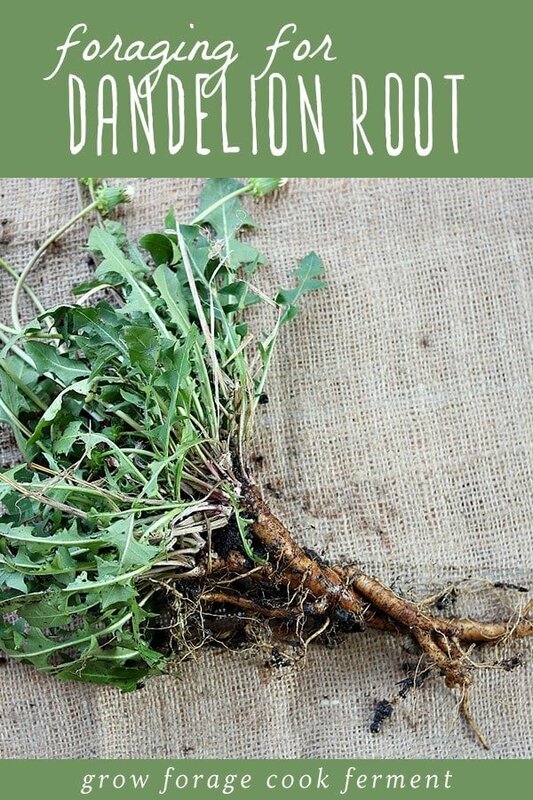 Try harvesting dandelion roots that are growing in softer soil rather than compacted if possible, it will be much easier. A garden shovel can help, or this awesome Hori Hori Garden Knife. A lot of it will be done with your hands so you may want to wear some garden gloves. Many times I will only get part of the root, but that’s ok. That means that the dandelion will still come back next year! 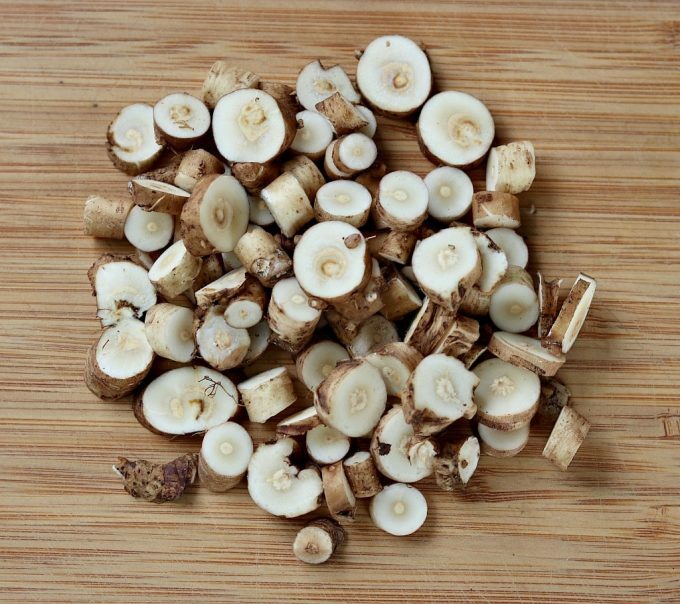 Dandelion root has many health benefits, including being a tonic for the liver and a powerful antioxidant. 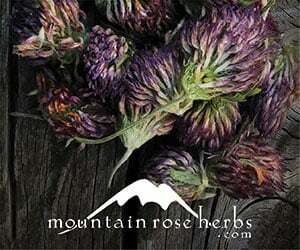 It also has a positive effect on the digestive system and contains several vitamins and trace minerals. 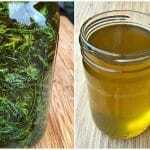 It makes a nice tea or tincture, or even better, turn it into dandelion root bitters for digestion. 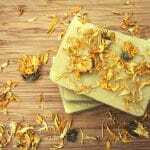 Once you get your foraged dandelion roots home, you will want to trim them up and rinse them well. 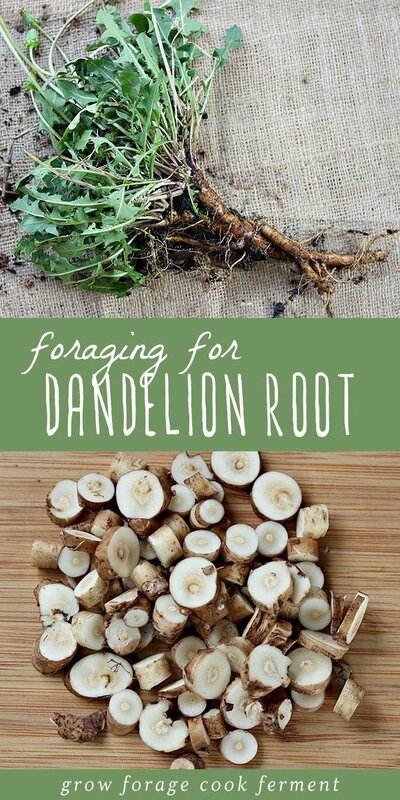 Slice the dandelion roots into smaller pieces for using them them fresh in a tea, or dry them in a dehydrator or on an herb drying screen for later use. 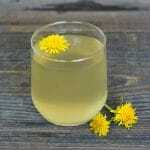 If you can’t find any dandelion roots to forage you can buy high quality organic dried dandelion root from iHerb. 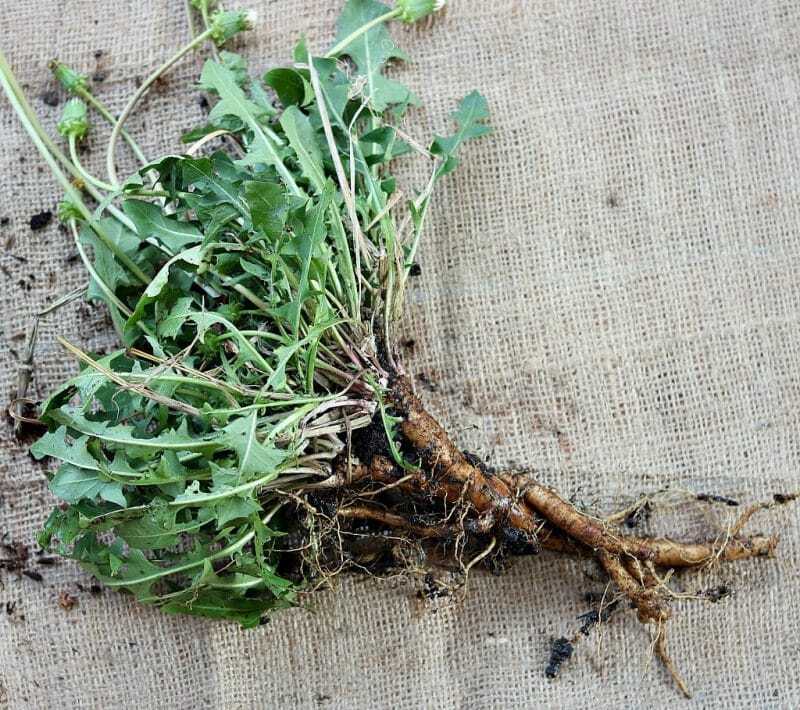 Dandelion really is the wonder plant in so many ways, and the root is no exception. 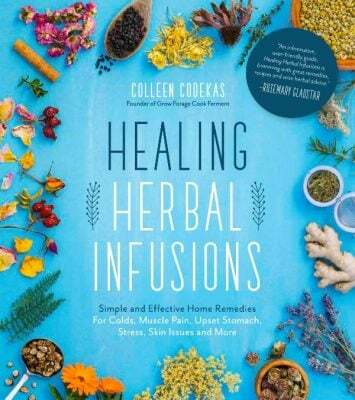 It’s definitely an herb you should have on hand! Remember to leave some of the root so the plant can regrow next season. 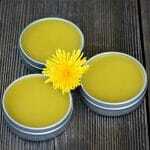 I have made Dandelion jelly. Taste like honey. 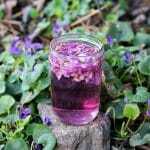 Hi Colleen…I am reading your article with huge interest in making dandelion tea. As you already know, here on the OR coast, we have two or three species of dandelions. 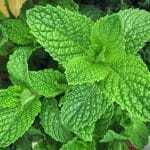 In my yard I have the broader, flatter leafed one and the more jagged leaved one which you are showing in your photos. I also have one where the flower shoots way up in the fall. Not sure that one is a dandelion, though. Anyway…which one do you recommend or does it matter? I think it would be fun and healthy to try this. Hello Colleen and Noel, do you have any suggestions that can assist and help me please. I am 59 and have liver cancer. I went to have to have it removed but after they did scan just before the TASE they found 2 small suss ones so that was canceled and the next day I had chemotherapy injected. Main tumor srunk from 23 to 21 mm. They said see you in about 6 months. The main tumor has increased in size alot and progressed into the vein. They said there is nothing they can do and I have a few months left. 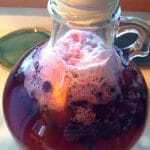 I am taking Sheep sorrel tea mixture with 3 other herbs. 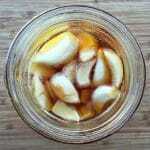 Turmeric and ginger tea and some other herbs as tincture. Hi Greg, unfortunately I don’t know a whole lot about treating cancer naturally, but I know that there are resources out there. I will look around for you and send you an email if I find anything that might be helpful. Have you looked into CBD at all? 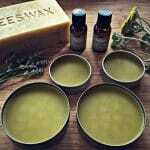 There are some reports that it may help with cancer. In the meantime, I’m sending you my thoughts and hoping for a full recovery! Greg, I noticed this was written in Sept 2017 and I do hope you are still with us. 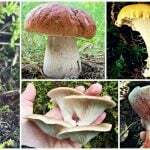 Please investigate Essiac Tea ad well as Chaga Mushroom extract. I am a breast cancer survivor and since I followed standard medical treatment (chemo, radiation and many surgeries) I swore I would do my best to live a more holistic life style. I have been doing what I can and trying things that are more natural and to be things that boost immune system and suppress free radicals. Not sure if it is working but I like the direction I have taken. God bless. 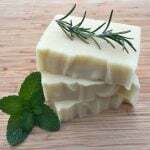 Hi Linda, I am also a breast cancer survivor and have decided never to take the surgery, chemo,radiation route again and to go the natural way. Besides many other things I have also started using Essiac tea and I have been wanting to try the dandelion tea. Like you, I am not sure if what I am doing is working but I am very comfortable with the route that I am taking. There are no after effects , I feel healthier than ever and am feeling very positive. I am doing the besr I can and whatever happens will be Gods will. Best of luck and God Bless. this on Farfelle Pasta. Thank You !!! Can I harvest dandilion root anytime..To try making bitters or won’t it work unless I harvest them in Fall? 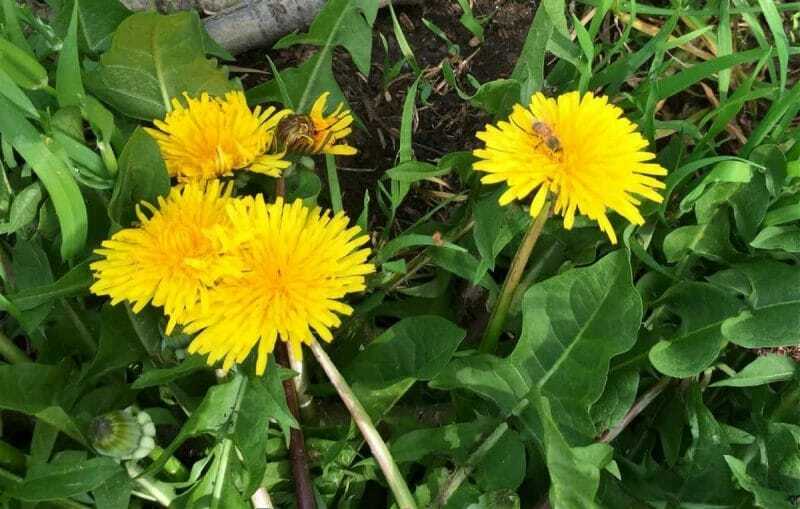 Spring or fall is generally the best time for harvesting dandelion roots. You can make anytime but fall harvested has more nutrients. 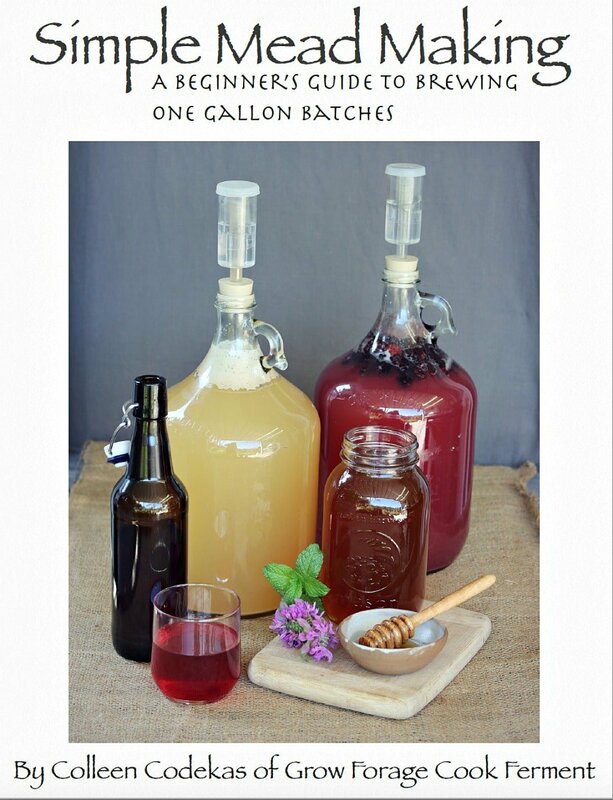 Maybe make 2 batches a year. Years ago I read to harvest dandelion roots in the spring for one purpose and in the fall for a different purpose. But I can’t remember what they were. Can anyone help me? The leaves an flowers can be eaten in the spring when they are young and not bitter as they are later in the year. Are there other things U do with leaves & blooms besides said? Your post came at the perfect time. I’ve thought a few times about going to get some dandelion root but, being a beginner, wasn’t quite sure if fall was the right time. And now I know! I’ll be digging up a few. I do love dandelion root tea!! Thanks for the information. I didn’t get to try dandelion yet. I’ll have to remember to bring something to dig with when I go look for it so I can use the root as well. I was actually thinking about growing it in my garden next year. We’ll see. I had not thought about growing it. good idea.